IX Liverpool and Baltic Broadband have collaborated to install a 10Gbps Internet connection into the Fabric District and as such are able to offer businesses the fastest speeds available in Merseyside and at highly competitive rates. Businesses in the city region have long complained about the relatively slow broadband speeds compared to other parts of the UK and this new development puts Liverpool on an equal footing with London, Cardiff and Manchester. IX Liverpool is a not for profit Internet Exchange company whose main aim is to build the Internet here in the Liverpool City Region and is founded on the principles of a collaborative and cooperative organisation. 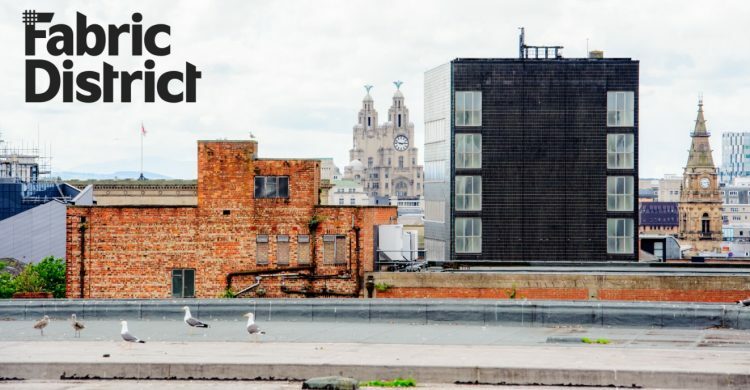 IX Liverpool has been supported by more than £40,000 of donations from the local digital community to help to make internet connectivity faster, most cost effective and of higher quality and is featured in the region’s published Liverpool City Region Growth Strategy. “We haven’t received a penny of public money from the Government or the EU but we’ve had great support from the digital business community and we’re going from strength to strength. IX Liverpool are working with Liverpool and Wirral councils in order to expand the coverage of the exchange to other parts of the region beyond the city of Liverpool. The partnership also plans to enable entire buildings that serve multiple businesses with 1Gbps connectivity through a groundbreaking scheme aimed at landlords called BBEB – Baltic Broadband Enabled Buildings. BBEB will allow landlords to attract high quality tenants by offering them exceptionally fast internet speeds that are available from the day they move in thanks to a 60 second signup process. Importantly, IX Liverpool is also the first Internet Exchange in the UK to host a separate network dedicated for the Internet of Things – a unique selling point for the area. Residents and Businesses of the Fabric District also have access to the city wide Internet of Things network (IOT) (built thanks to donations from businesses ), allowing them free access to design, build and create IOT applications for their business or the community. IOT is the network of physical devices, vehicles, home appliances and other items embedded with electronics, software, sensors, actuators, and network connectivity which enables these objects to connect and exchange data. Experts estimate that the IOT will consist of about 30 billion objects by 2020. It is also estimated that the UK market value of IOT will reach £322 billion by 2020. IX Liverpool is the first Internet Exchange in the UK to host a seperate network dedicated for IOT. In addition to this announcement, the team at IX Liverpool is working at extending the exchange to other parts of the region including the Ten Streets project and the Wirral and are activity looking at ways of funding this expansion and are also looking for volunteers for this project. Internet Exchanges are the central point in which networks (ISPs like BT, Sky, Virgin Media, Baltic Broadband etc) connect to each other so their customers can access each others networks (called exchanging traffic) and are often located in the same city as those networks. This avoids the need for data to travel to other cities (potentially on other continents) to get from one network to another, thus reducing latency, improving speed and reliability for end users. Internet Exchanges also help content delivery networks (CDNs) exchange Internet traffic between their networks for example Facebook, Twitter, Netflix and BBC iplayer, many of which keep content local to the region so when we watch a YouTube Video, Netflix film or even access Facebook the content is served out of the Liverpool exchange to keep it fast and reliable. Without a local Internet Exchange (like London, Leeds, Cardiff and Manchester) ISPs and content providers typically have slower, more limited connections to end users than to the rest of the country, resulting in poor broadband speeds that will ultimately grind the local digital economy to a halt and disadvantage domestic customers when they require fast and reliable connectivity to digital services. Baltic Broadband is a startup Internet Service Provider based in Liverpool whose aim it is to bring low cost high quality Internet connections to businesses in the region. As a member of IX Liverpool, it routes traffic through the exchange to help it grow while helping the exchange attract other members who will join once there are multiple members present. Businesses who build their infrastructure in the cloud must consider operational costs, performance, scalability, and security, while ensuring they have rapid and Agile Connectivity to their Cloud provider. From the 1st of March 2018, IX Liverpool will also be able to offer connections from the exchange directly to cloud providers (bypassing the internet) to help with low latency applications such as Virtual Reality, Crypto Currencies, Rendering and Big Data. IX Liverpool now allows members to connect over an elastic, SDN-based, ubiquitous Ethernet fabric allowing customers wider coverage, speed to market while reducing costs. Connections of 10Mbps to 1Gbps are currently possible to the providers above with higher speeds available towards the end of the summer. In terms of the Cloud connections, businesses based in the Fabric District now have direct access to the networks of such cloud providers, helping them build their IT infrastructure in the cloud while having low latency access normally only available to larger companies with dedicated infrastructure. IX Liverpool was established in 2016 as a not for profit company limited by guarantee and is directly connected to the London Internet Exchange which helps bring better connectivity to the region. Baltic Broadband is an independent network and local internet registry, it has infrastructure throughout the UK and terminates Internet traffic in London Telehouse, Manchester Equinix and now in IX Liverpool – ensuring high quality & low latency routes, resulting in high quality connections for businesses.